An MSc is generally accepted as being highly desirable for starting and developing a career in Statistics, for example as a statistical consultant in the public or private sector. Our MSc Statistics is also an excellent preparation for embarking on a PhD project in Statistics. 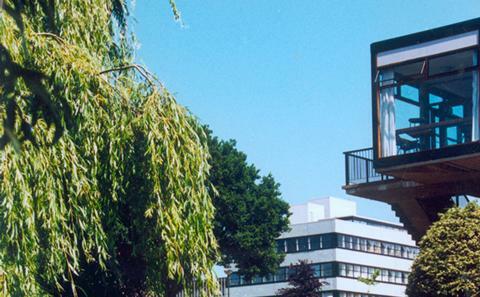 The 2017 QS World Rankings placed Southampton in the world top 100. Our MSc Statistics, will give you sound masters-level training in statistical methodology, with an emphasis on practical problems arising in the context of collecting and analysing scientific data. Our MSc Statistics programme structure allows you to select options ranging from the more theoretical aspects of statistics, including a module on research topics, to those which cover material focussed on real world applications of statistics. While studying for your degree, you will develop key transferrable skills, such as written and oral communication, the use of and some programming in statistical software, time management, and basic research skills. You'll boost your analytical skills on this MSc degree, developing your understanding of statistical theory and its real life applications. Careers: Statistics enables the type of quantitative reasoning necessary for making important advances in the sciences, such as medicine and genetics, and for making important decisions in business and public policy. As such there is a wide choice of career opportunities for well qualified statisticians, for example in banking/insurance, in the pharmaceutical industry, or in government bodies. Part-time study: The course may be taken over 27 months, with approximately equal amounts of ECTS/CATS credits studied in each year. The full-time MSc is completed over a 12-month period. There are two semesters of taught material, which account for 60 ECTS credits, followed by the MSc project in summer, which accounts for 30 ECTS credits. The course may be taken part time over 27 months, with approximately equal amounts of ECTS/CATS credits studied in each year. You will be provided with training and education in a variety of techniques, methods and approaches of Statistics, and in their application to practical problems arising in different contexts. The programme structure allows you to select options ranging from the more theoretical aspects of Statistics, including a module on research topics, to those which cover material focussed on practical applications of Statistics. This is complemented by modules on research skills, and several presentations on transferrable skills and employability by the University Careers and Employability Team. Seminars given by Statisticians working at a wide range of organisations will provide opportunities for networking. A highlight of the programme is the three-month dissertation completed over the summer, which will provide an opportunity to study a topic of your choice more deeply. There will be a broad range of statistical topics available, reflecting the diverse research areas of our staff. 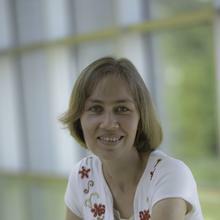 Dr Stefanie Biedermann is an Associate Professor within Mathematical Sciences at the University of Southampton. The usual entry requirement is at least an upper second-class honours degree from a recognised university involving units in both Mathematics and Statistics. Each application is considered on its individual merits. Motivation and relevant postgraduate experience in a Statistical environment are important factors that are taken into account. Other qualifications can be considered, e.g. Professional Development courses provided by the Royal Statistical Society, other professional training courses in Statistics, or short courses/tutorials associated with Statistics conferences. Therefore candidates should send full details of their training in Mathematics and Statistics with their application. IELTS score of at least 6.5 overall, with at least 6.0 in each component (intensive summer language course available if required). In addition to the core, compulsory and optional modules listed below, you will also be required to complete a 3-month dissertation over the summer. Most modules consist of twenty-four or twelve 45 minute lectures, often supported by supervised practical sessions. Equipment IT - Software Licences: The software required for the programme (SAS, R, Stata) is available on all public workstations on campus, and accessible from your own computer via VPN. The use of statistical models and their interpretation is fundamental to statistical methodology, and this is emphasised throughout the teaching and learning experience. Computer work is an integral part of the programme and enters in several modules in different ways. Specialist computer packages are used with an emphasis on SAS and R, which are the main systems that an applied statistician would be expected to use. use computer packages to carry out a large variety of Statistical data analysis techniques.